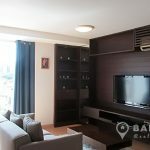 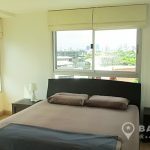 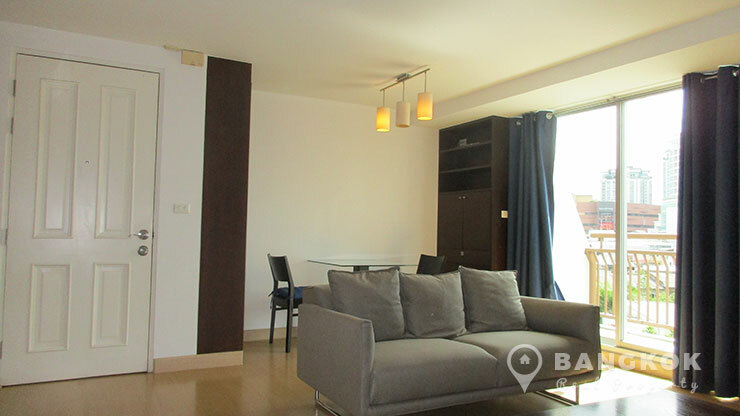 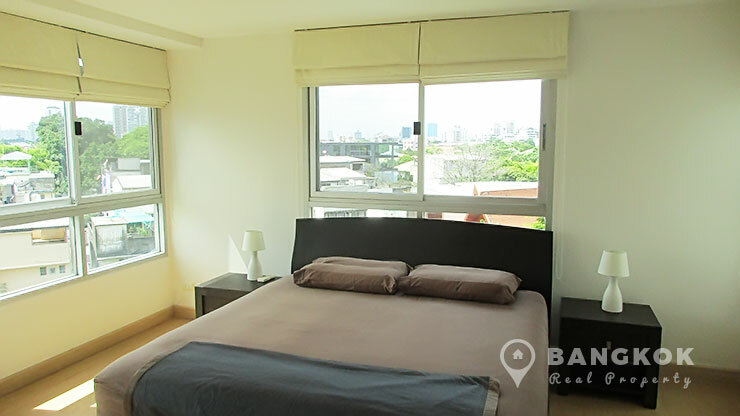 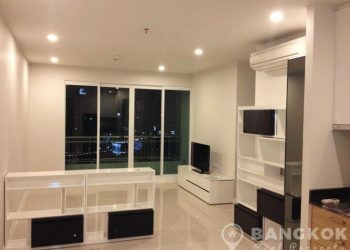 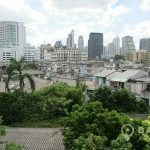 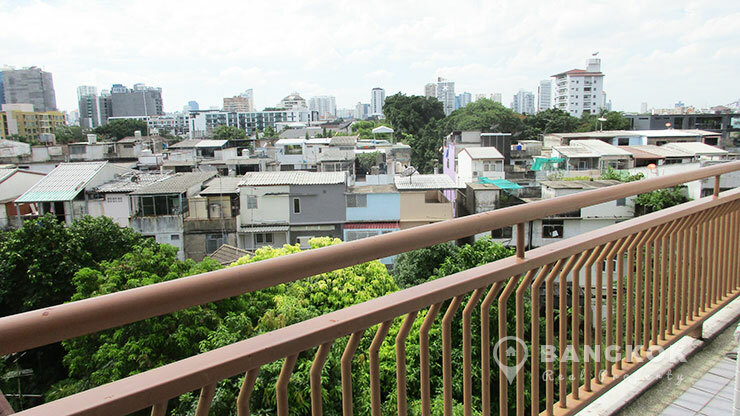 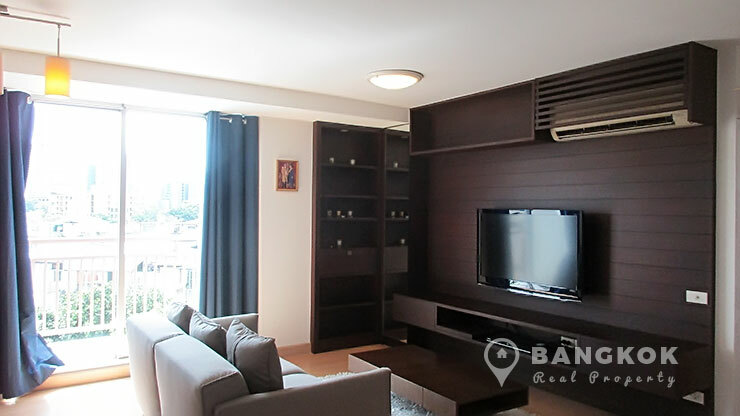 A spacious, corner 2 bedroom condo is now available to rent at Plus 67 Condo, conveniently located just off Sukhumvit Road and just 8 minutes walk to Phra Khanong BTS. 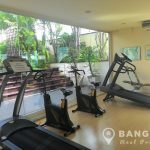 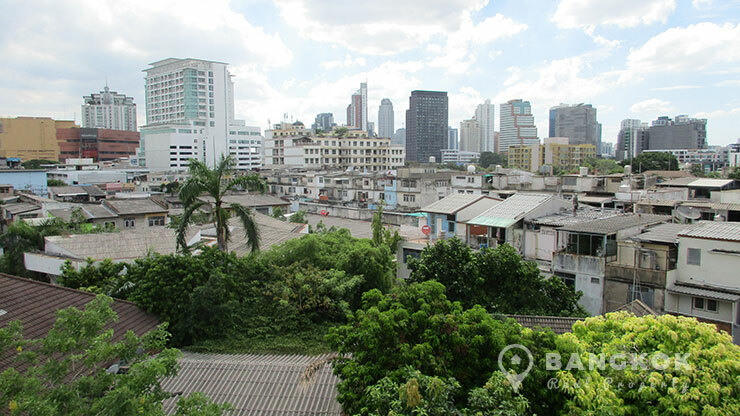 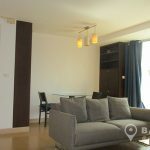 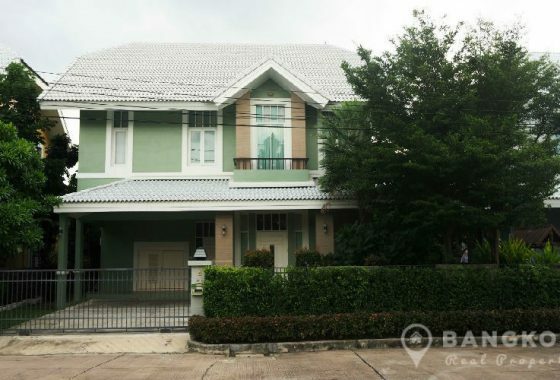 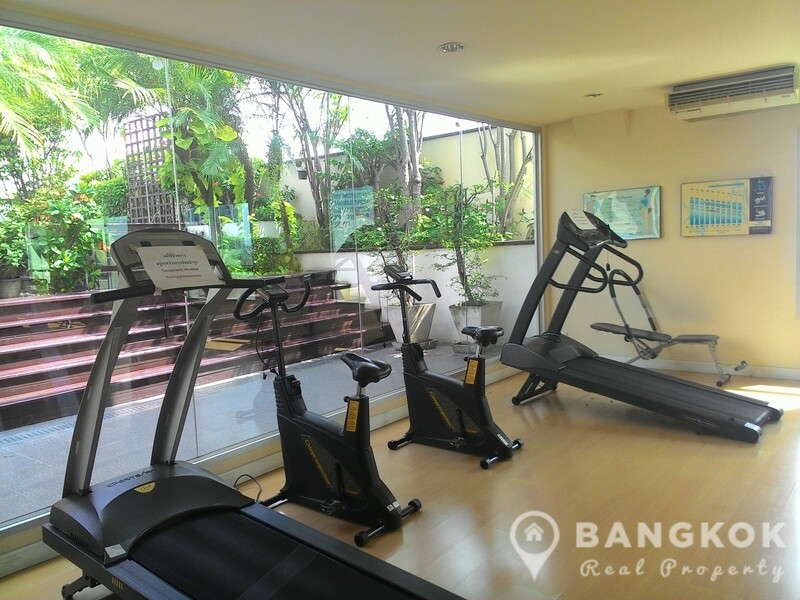 This Sansiri built low rise development with only 8 floors, built in 2004 and is centrally located close to the Gateway Mall, Max Value, St Andrews International School and for golfers, the nearby T Off Golf Driving Range. 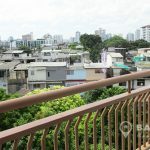 Situated on a high floor Plus 67 Condo, this 2 bedroom, 2 bathroom corner unit has 72 sq.m of living space with great un-blocked view out over local gardens with no construction! 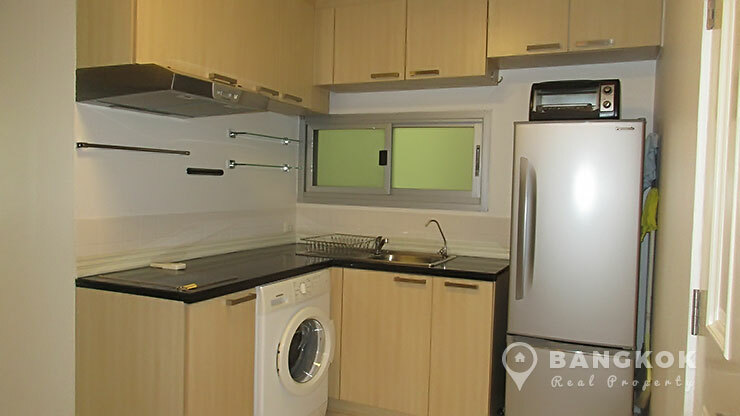 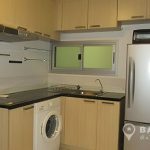 The unit is fully furnished with an open plan livingroom with large balcony opens to a fully fitted kitchen with electric stove (hob), extractor fan and washing machine. 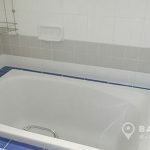 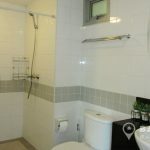 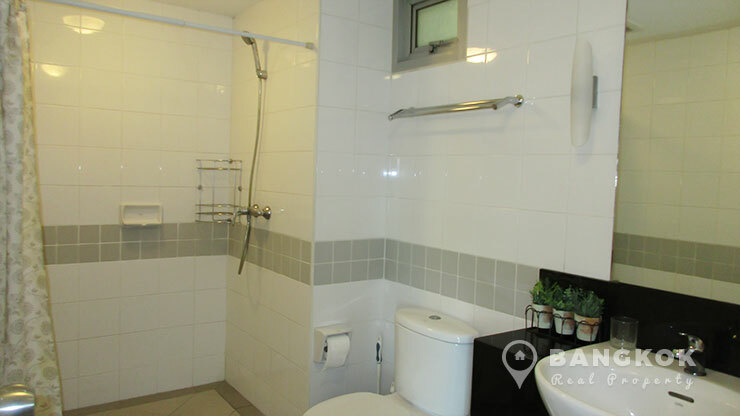 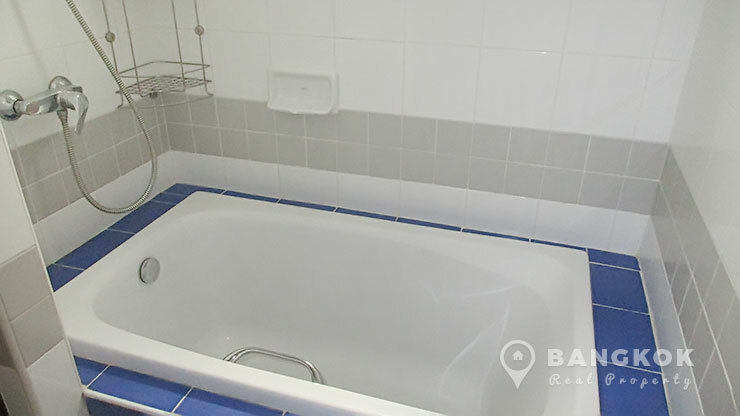 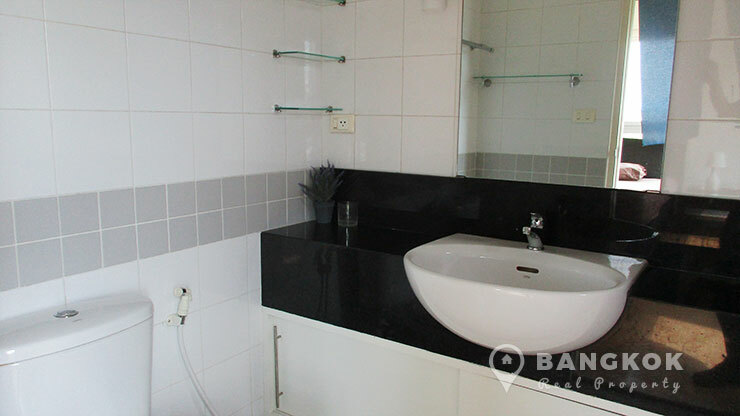 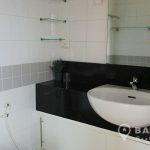 There is access to the main bathroom with shower. 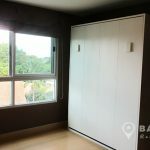 The master large bedroom sits on a corner and has extensive built in wardrobes and has an ensuite bathroom with bath tub. 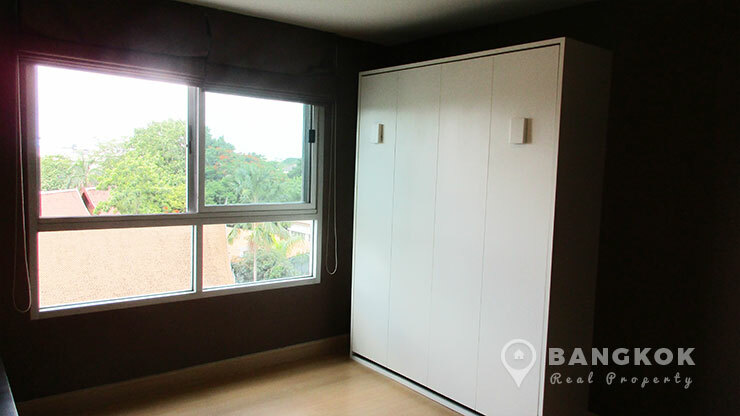 The 2nd bedroom which can also be used as an office, has a clever fold down double bed.